According to Ricardo Santos, cofounder and СЕО of Heptasense, in the near future there will be less shoplifting, traffic jams, and challenges to airport security. Heptasense’s AI-based SaaS-platform incorporates video cameras, movement detectors, and sensor screens. The AI can identify gestures and analyze behavior of an individual or a group. Launched in 2017, the company has already got among its customers BMW, Bayer, Media Markt, Brisa, Mercedes-Benz, and a US security company involved in threats monitoring and detecting at airports. 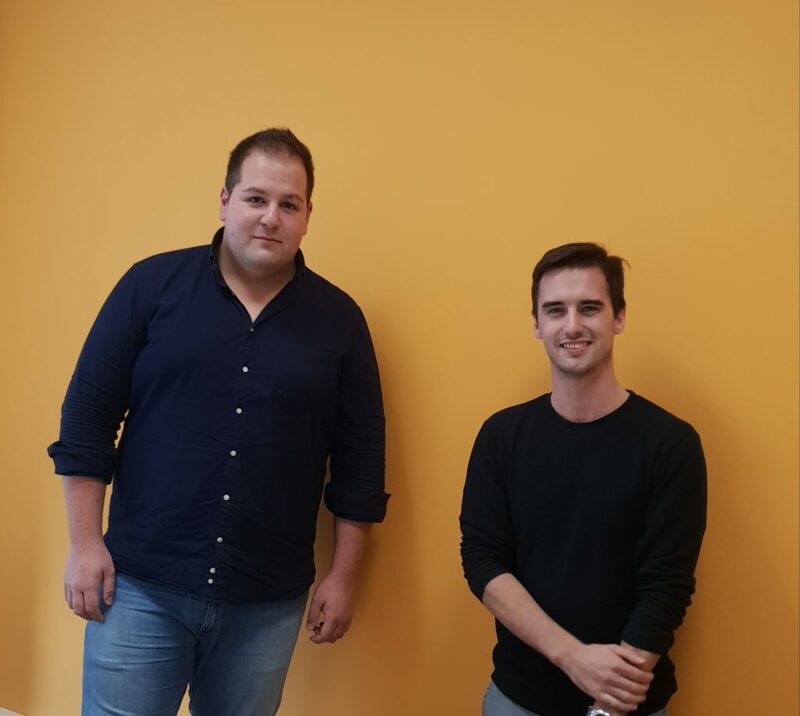 In his interview to Invest Foresight, Ricardo Santos explained why his AI can not be employed for spying, how the platform maintains anonymity, and if there is any point in launching a startup without an investor support. – You have a very concise LinkedIn profile. You graduated from the University of Nottingham in 2013, then a dash – and in 2017 you launched Heptasense. I graduated from the University of Lisbon in Portugal in 2015 (MSc in Electrical and Computer Engineering). In 2013, while I was doing my BSc I went to the University of Nottingham to do a summer internship, in which I was invited to do a PhD without the need to do the MSc. I decided to get back to Portugal to finish my studies, and then launched my own startup, Heptasense. – How did you meet with Mauro Peixe? We met in college in the last year of our MSc degree. We worked in the same group in an entrepreneurial class. There we realized we had complementary skills to found a company without too much resources. – So, the concept of Heptasense was born? The concept of Heptasense developed naturally due to our background and network. I did research in Artificial Intelligence field and Mauro worked for a bank in critical systems. We both realized that any facility that relies on surveillance cameras is not efficient because threats are not detected. It is easy to understand why: a security person cannot be aware of multiple video streams at the same time for hours. We wanted to improve their job, by making cameras detecting any threat automatically. – You started out developing AI software that learns human gestures and emotions to help their elderly relatives navigate modern life. Why did you choose the sphere of security, not healthcare? My BSc is in Biomedical Engineering, and that’s where my research started: using AI for biomedical applications such as prosthetics and gesture recognition to improve accessibility of elder people. However, when Mauro and I started working together, we had the same vision of the market where our technology could be applied in a most efficient way. We decided to provide the healthcare research to our social partners so they could implement it in real world scenarios, while Heptasense could focus on security. – How long did it take to develop your platform? It took us a year to develop the first version, although it is always in a continuous process of development and improvement through adding new features and improving performance. The first version of Heptasense only had simple analytics such as gesture recognition, people counting and heatmaps, but today our core is the identification of complex behaviors. – Your SaaS platform can do simple things like recognizing gestures, and perform analysis of the most complex things like crowds in a public environment. Please tell us more about the technology – how much time it takes for the platform to recognize gestures? How does the platform analyze a ‘crowd’? The platform employs any cameras in any quantities, since the entire processing is done in a cloud. Heptasense has a unique approach to recognize new behaviors requested by our customers: we do not need their data. This is particularly important in security, as we cannot ask a retail company to provide videos of their customers stealing, or a factory to provide videos of their workers doing something: it would be illegal. We developed a proprietary software that can teach our platform new behaviors in less than a week, allowing us to solve any visual-based security problem of our customers. Heptasense simply looks at motion pattern behaviors without relying on people’s personal metrics. – You bootstrapped the company, relying on customer contracts for cashflow. You said, “Investors wanted us to focus on three-year projections and follow the footsteps of other companies, but we were doing something different”. How much money has been invested in the startup altogether? We really believe that a company should not be funded without a solid proof in the market, and it shouldn’t just following the money without a vision to make the world better. For a year the company was just Mauro and myself, yet we developed the Minimum Viable Product of Heptasense platform. We started with €5.000 that we won in a startup competition. After we got our first paying customers, we started hiring very talented people, so basically the money spent up to now was spent on salaries. – Who are your main competitors and how your technology differs from theirs? Other companies that work in Artificial Intelligence or computer vision applied to surveillance cameras focus on people identification (facial recognition) and object recognition, because there is a lot of data available for such use cases. Heptasense focuses on body behavior analysis, without relying on recognition of people, so their privacy is never jeopardized. – You have a large client, BMW. How could you get this company? Which other big companies are using your platform? We have extraordinary partners, such as Plug and Play, Everis, Vodafone, that help us reach out to new markets and be introduced to potential customers. Other customers include Bayer, Media Markt, Brisa (biggest highway manager in Portugal) and Mercedes-Benz. – Are you interested in the Russian market? Heptasense focuses on three areas: retail stores (specially theft detection), factories (work tasks digitalization), and roads (threats detection such as car accidents). We work in several countries in Europe, and our goal is to be in every country of the world, including Russia, since it is a major user of public video surveillance systems. – How do you monetize the platform? How much does it cost to join it? The price varies depending on the analytics companies intend to use. Our pricing is a monthly/annual fee per each camera connected to our platform. – Your SaaS platform analyses human behavior by using security surveillance cameras, yet in the future it will possibly know a person’s name, salary, interests and even draft a profile based on tweets and know what sort of mood the person is in. Your technology serves to improve security, management, and sales. Still, in a country where people are arrested for their political views, the use of this technology may follow a nightmare scenario. Could you comment on that? That’s exactly what keeps Heptasense going day by day. We oppose using such technologies for identifying and tracking people’s lives. That’s why Heptasense only uses cameras to detect anonymous body behaviors and other analytics to alert security teams so they could know something is happening and identify the right videofeed. After that, the judgment and decision is fully theirs. Our mission is to make cameras smart to improve security, instead of turning them into spying devices like it is happening in a number of countries. – What do you think will happen to this type of technology in the future? How would it affect security and commerce? Our technology can benefit several markets in terms of security and resources management, and it will directly or indirectly be valuable to end users. A retail brand for example may loose millions of euros a year through theft, which has a straightforward relation to prices growth to maintain profit margins. In case of roads management, real time car accidents detection means less traffic congestion and also less CO₂ emissions. By improving security, companies could then allocate more resources to improve customer experience.